Nearly three million people visited an emergency department in the United States due to concerns for a traumatic brain injury in 2013. More than 50,000 died as a result of their injury. An additional 300,000 people were admitted to a hospital, where they spent at least one night. 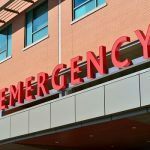 Between 2007 and 2013, the number of people who visited an ER due to concerns for a severe head injury increased by nearly 50 percent. These numbers show that traumatic brain injuries are a serious issue. Motor and Sensory Dysfunction: One of the most common complications is a loss of certain motor or sensory functions. The brain uses neurons to send motor commands to the arms and legs. The body also sends sensory signals back to the brain which is interpreted as temperature, pressure, or pain. Damage to these parts of the brain can lead to a loss of these functions. Mental Health Disorders: Another common complication is mental health problems. Following a TBI, many people become depressed. Others might develop anxiety. Individuals could also start to have hallucinations. All of these deserve the attention of a mental health professional. Memory Loss: One of the most difficult aspects of a TBI is managing memory loss, termed amnesia. Some people might lose the ability to form new memories. For others, they might lose old ones. Seek medical care from specialists as quickly as possible. Ensure that their loved one receives physical therapy and rehabilitation as quickly as possible. Take all of their medications as prescribed by their physician. Ask for help when it is needed. 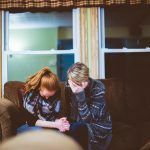 The logistical and financial aspects of the long-term complications of a traumatic brain injury are tough for families to manage. Watch YouTube Video: Short and Long Term Effects of TBI. The video below provides a closer look at the short-term and long-term effects of a traumatic brain injury. Examining the records of an accident in close detail to ensure that all facts have been accounted for. 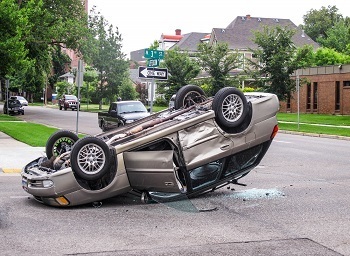 Ensuring that the liability for an accident has been appropriately assigned. Discussing payouts with insurance companies to ensure that a family receives the maximum award allowed under their policy. Taking a case to court when this is needed. Families deserve help during their time of need, and nobody should ever feel like they are alone. 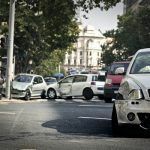 For this reason, take the time to meet with a traumatic brain injury attorney in San Francisco. Your family might be deserving of a financial award. I’m Ed Smith, a San Francisco traumatic brain injury lawyer. 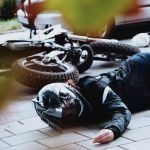 The long-term complications of a traumatic brain injury can be severe. If a family member or yourself have suffered a traumatic brain injury in an accident, please reach out to me at (415) 805-7284 or (800) 404-5400 for free, friendly advice. I have been inducted into the Million Dollar Advocates Forum for the state of California. This section of injury lawyers has been ranked with many of the top accident lawyers in the United States. Its attorneys have settled cases or received trial verdicts of greater than $1 million. Please view my membership in the Top One Percent, a National Association of Distinguished Counsel. You are also encouraged to look at some of my verdicts/settlements. You can see what our prior clients have to say about our services on Avvo, Yelp, and Google.